OctPoWriMo 2018: OctPoWriMo 2014 - It's OK... just write! Today I am having one of those days where my world is not making sense. For 19 years, I was a high school teacher. In all that time and in the two years since I left the profession, I have been blessed to have never experienced what finally occurred today. I never had to deal with the death of a student (or former student). Now that has changed. I read the sad news just before the beginning of a design class that I'm taking and spent the next 2 1/2 hours working on a project that resulted in a minor disaster. Because I was preoccupied trying to understand how and why a vibrant young woman in her 30s is no longer with us, I made a simple but critical error in assembling the pieces of the assignment at hand. Still in shock from the news of Jen's passing, I compounded my own negative emotional state by making (what I consider) a "rookie" mistake. As I thought about what insights about poetry I might be able to share with you after all that occurred for me today, I came across the quote I've shared above. It struck something deep within me, though I want to change it to "...why should I write poems that do?" 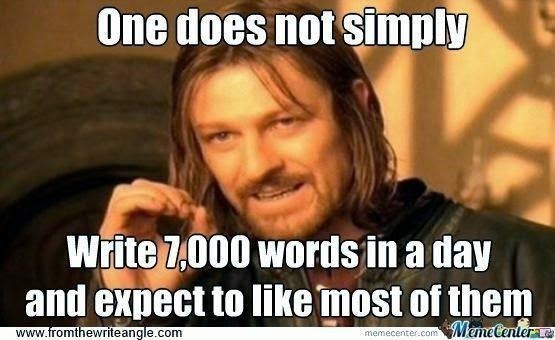 But that is exactly WHY I need to write tonight. I need to ball up all of the sadness and anger that I'm feeling and throw it out onto my paper (or screen) as some pathetic, trite ugliness. Release all of the hurt and disappointment into (perhaps) a nonsense poem. Once that is done, I believe it will be easier to take a step back, take a deep breath, and write something beautiful and meaningful. The reason I've shared all of this with you is to remind you of one of the greatest lessons to be learned about writing poetry (or any other creative form) - It's ok to write crap. So sorry for your loss Amy. Losing someone is never easy and I always feel a loss of words during such times. I love the quote, and how you would change it. I am going to allow myself to write nonsense more often. Thank you for sharing this with us. I'm so sorry to hear that Amy. Sometimes I think it's less about the words you write, but the just the act of writing them that calms the inside. Amen!! Writing the bad stuff is a great doorway to writing really good stuff! I always try to remember that!